Located in the Northeastern Pennsylvania’s world reknown Pocono Mountains, Monroe County’s ideal geographic location and features allows for a uniquely rural character while providing amenities and opportunities located in large urban areas. Its central location and close proximity to New York City (75 miles) and Philadelphia (90 miles) makes Monroe County an attractive place to live and work. Highway connectivity is provided by I-80 and 380. Other major roadways include Routes 611, 209 and 33. Airplane service is available at the Pocono Mountains Municipal Airport. It is categorized as a general aviation facility. Freight rail service is available from the Delaware-Lackawanna Railroad Company. Due to its location and quality of life, Monroe County has historically experienced very strong population growth, especially from the New York City and Northern New Jersey areas. 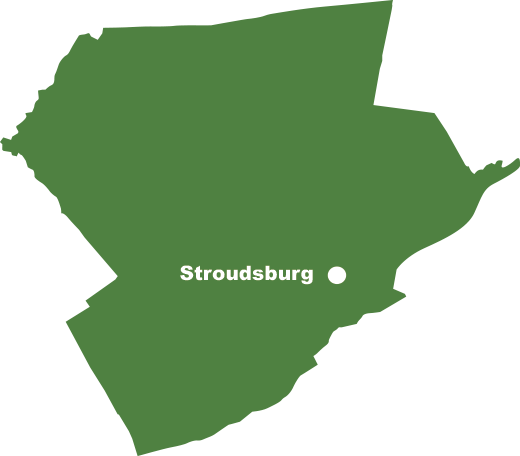 Monroe County is located in the East Stroudsburg, PA, MSA. Monroe County’s economy is dominated by the hospitality / tourism business sectors. However, due to the availability of developed industrial land, Monroe County has been able to attract numerous businesses to locate here. Leading employment sectors include Leisure and Hospitality, Transportation and Utilities, Manufacturing, Education and Health Services. Entrepreneurial activity is enhanced by the East Stroudsburg University Business Accelerator and the Monroe Campus of Northampton Community College. 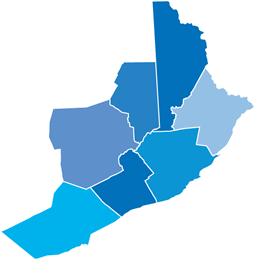 Monroe County is home to the Tobyhanna Army Depot; the largest full service electronics maintenance facility in the Department of Defense system. It is also the largest employer in Monroe County and the NEPA PREP Region. Monroe County is also home to Aventis Pasteur, a global business that is a world leader in the production of vaccines. The hospitality / tourism industry continues to experience growth evidenced by the on-going development of major indoor water parks. NASCAR racing occurs at the Pocono International Raceway. Gaming is available at Mount Airy Casino and Resort. Four season tourism and recreation activities offer various opportunities for every age. Resorts located in Monroe County are known internationally.